Author of the Forde Yard Dash, Pat Forde, is here. He’s no longer with ESPN, jumping ship to Yahoo sports, but I’ll be keeping up with him periodically because I enjoy his work. He is our 2013-14 Season Champion with a record of 301-95 (76.01%) on picks. 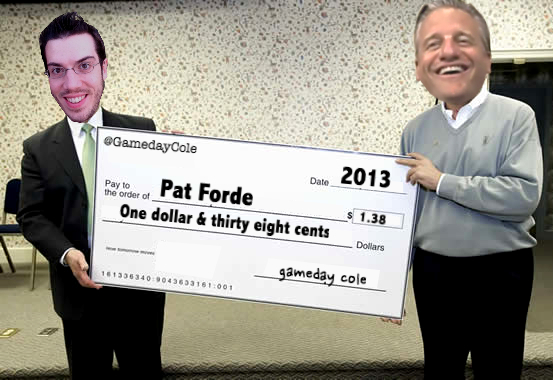 Congratulations to Pat Forde.